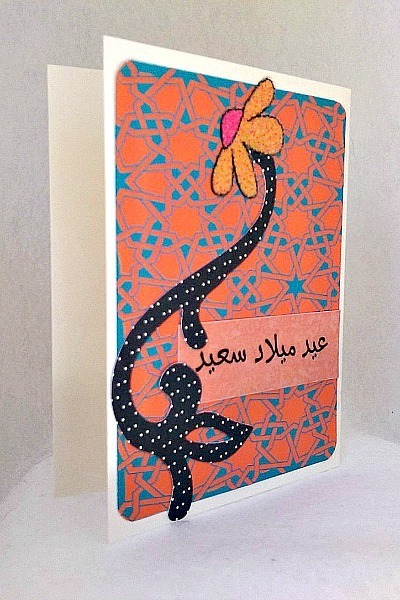 Do you need to send a loved one flowers for thier birthday but are too broke to send live ones? 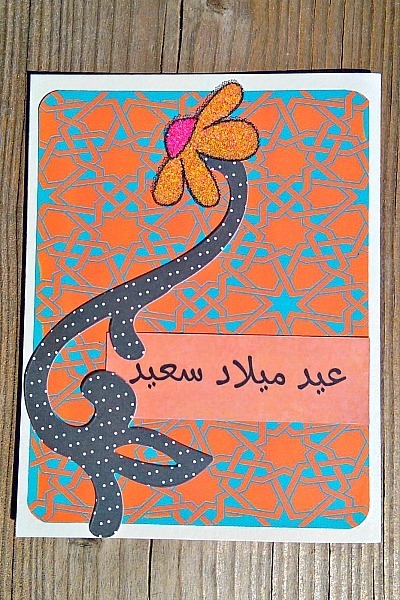 Then this is the card for your. 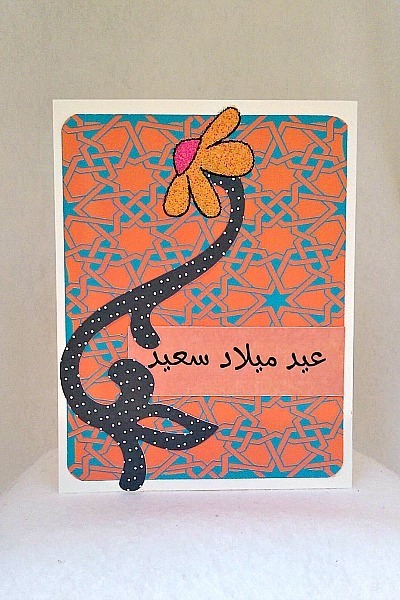 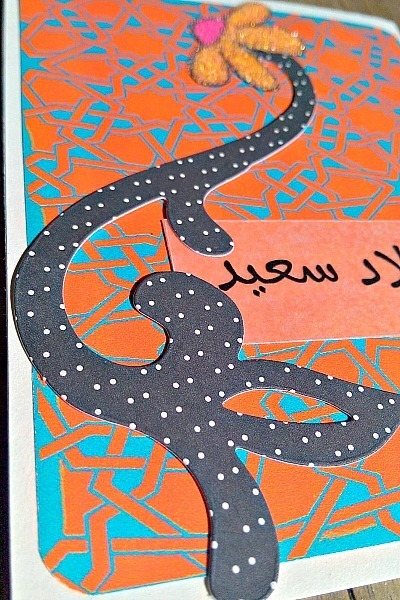 The Arabic words, 'Eid Milad Said" have been placed on orange cardstock to compliment the Arabesque orange and teal background paper. 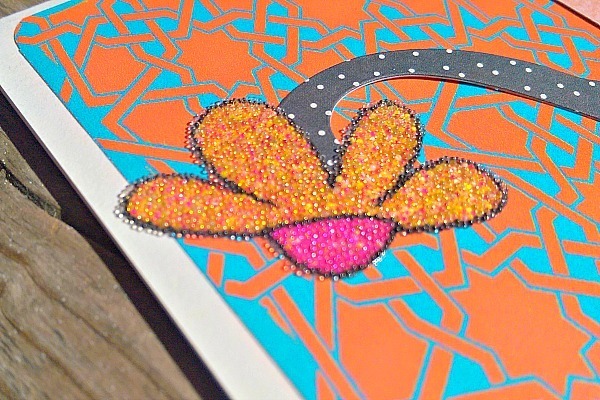 On top of that a beaded glitter flower has been added with a swirl stem design that ends in an elaborate leaf. 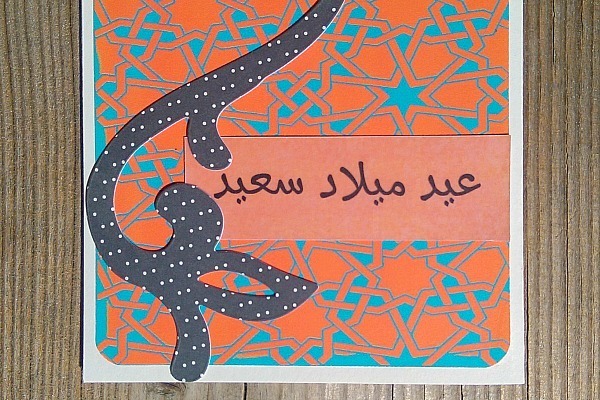 Since this is a Arabic card, it opens left to right.